for socio-economic development in order to constantly improve people's lives"
The date of October 8th, 1955, when the Government Council meeting decided to establish the National Planning Committee, was determined as the date of establishment of the State Planning Committee, now the Ministry of Planning and Investment . Back in history, on December 31st, 1945, immediately after the establishment of the Democratic Republic of Vietnam President Ho Chi Minh on behalf of the Provisional Government of The Democratic Republic of Vietnam issued Decree No. 78 - SL on establishment of Committee for Construction Planning Research in order to research, draft, and submit to the government a national construction plan on economy, finance, society and culture. The Committee included all Ministers and Deputy Ministers as members, specialized sub-committees, under the leadership of Chairman of the Government. Therefore, in celebration of Planning and Investment sector to be awarded Gold Star Medal held at historic Ba Dinh Square on November 4th, 2000, Prime Minister Phan Van Khai confirmed the date of December 31st, 1945 as the traditional date of Planning and Investment sector. Since this time, the Planning and Investment sector and Ministry of Planning and Investment has considered December 31st of every year as their official celebration day. 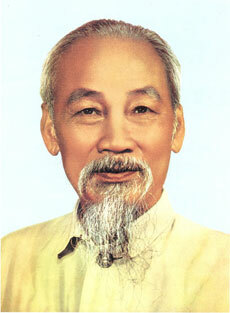 On May 14th, 1950 , President of the Democratic Republic of Vietnam released Decree No. 68 - SL on establishment of Government Economic Committee (taking the place of Committee for Construction Plan Research). Government Economic Committee is responsible for researching, drafting and submitting to the Government policies, programs and plans for economy or other important issues. In the meeting on October 8th, 1955, the Government Council decided to establish the National Planning Committee and on October 14th, 1955, the Prime Minister issued a Circular No.603-TTg to inform this decision. National Planning Committee and the planning departments of Ministries at central level, regional, provincial and district planning departments have missions to build economic, cultural development plans, and examine the implementation of plans. On October 9th 1961, the Government Council issued Decree No.158-CP prescribing missions, powers and organizational structure of the State Planning Committee, which defines that the State Planning Committee belongs to the Government Council with responsibilities to develop annual and long-term plans for national economic and cultural development in accordance with the directions and policies of the Party and the State. Over time, through periods of socio-economic development of the country, the Government has issued a range of Decrees defining and adding functions for the State Planning Committee (158/CP, 47/CP, 209/CP, 29/CP, 10/CP, 77/CP, 174/CP, 15/CP, 134/CP, 224/CP, 69/HDBT, 66/HDBT, 86/CP, etc ...). On November 27th, 1986, the Council of Ministers issued Decree No.151/HDBT to dissolve Central Committee of Economic Zoning, and assign mission of economic zoning to the State Planning Commission. On January 1st, 1993, the State Planning Committee received the Central Institute of Economic Management Research, being responsible for building policies, economic laws for the cause of renovation. On November 1st, 1995, the Government issued Decree No.75/CP prescribing functions, tasks, powers and organizational structure of the Ministry of Planning and Investment on the basis of consolidation of the State Planning Committee and the State Committee for Cooperation and Investment. On August 17th, 2000, the Prime Minister issued Decision No.99/2000/TTg on assigning Management Unit of Vietnamese Industrial Parks to become a part of Ministry of Planning and Investment. 1. To organize to research and set up strategies and overall master plan for socio-economic development of the country and socio-economic development master plans by sectors, regions. 2. To submit to the Government the bills, draft ordinances, and other legal documents related to mechanisms and policies on economic management, domestic and foreign investment encouragement to change economic structure in compatibility with strategies, master plans, and plans for socio-economic stability and development. 3. To synthesize resources of the whole economy including foreign resources to build long-term, medium-term, short-term plans for socio-economic development of the whole country and major balances of the national economy and submit to the Government. 4. To guide ministries, ministerial-level agencies, government-attached agencies, People's Committees of provinces and centrally run cities to build and balance general plans. 5. To guide and examine ministries, ministerial-level agencies, government-attached agencies, People's Committees of provinces and centrally run cities in the implementation of socio-economic development master plans and plans. 6. To act as Chairman of the State-level Councils on: Approval of the economic and technical norms, national bidding, appraisal for establishment of state-owned enterprises; coordination of management and usage of ODA resource; granting investment certificates to collaborative and joint venture projects. 7. To submit draft decisions on state reserves usage to the Prime Minister. 8. To organize forecasting research, collecting and processing socio-economic development information. 9. To retrain and organize refresher courses for civil servants and employees under its management. 10. To implement international cooperation in the field of development strategy, economic policy, development master planning and specific planning. Since 2000, the Government and the Prime Minister has issued several decrees and decisions related to amendment, supplementation of functions, tasks and powers, and change in structural organization of the Ministry; including Decree No. 61/2003/ND-CP dated June 6th 2003 of the Government prescribing the functions, tasks, powers and organizational structure of the Ministry of Planning and Investment substituting for Decree No. 75/CP, Decree No. 1/ND-CP dated January 4th 2007 of the Government on transferring General Statistic Office to the Ministry of Planning and Investment, Decree No. 116/2008/ND-CP dated November 14th 2003 of the Government prescribing the functions, tasks, powers and organizational structure of the Ministry of Planning and Investment substituting for Decree No 61/2003/ND-CP (see section Ministerial Functions and Responsibilities for details of Decree No 116/2008/ND-CP) and Decision No 1659/QD-TTg dated September 9th 2010 on establishment of Business Registration Management Agency under the Ministry of Planning and Investment. The current organizational structure of the Ministry of Planning and Investment includes 25 administrative organizations assisting the Minister in performing state management function, including 1 unit set up according to Decision 1659/QD-TTg, and 7 subordinate non-business organizations. From the time of the inception with only 55 persons in 1955, there were 930 persons as members of the personnel of the Ministry in 1988; The first Chairman of the National Planning Committee - the forerunner of the State Planning Committee, later being the Ministry of Planning and Investment - is the late Prime Minister Pham Van Dong.